Discussion in 'Remodel Forum & Blog' started by JerryR, Apr 13, 2019 at 1:33 PM. 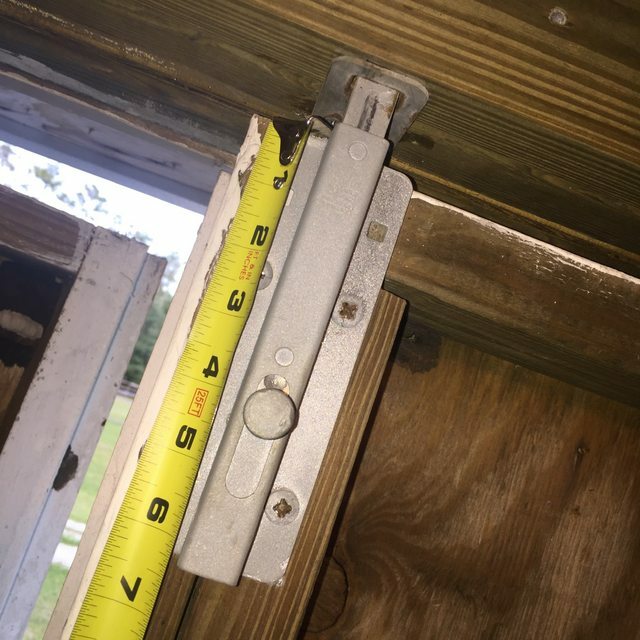 I'm looking for a source for a latch bolt for an old horse barn/shed double door. Here’s a picture of what is there now but missing on a few doors. It’s pretty heavy duty. That’s the first place I looked at online. I’m going to visit the local store today to see if they have anything in stock. 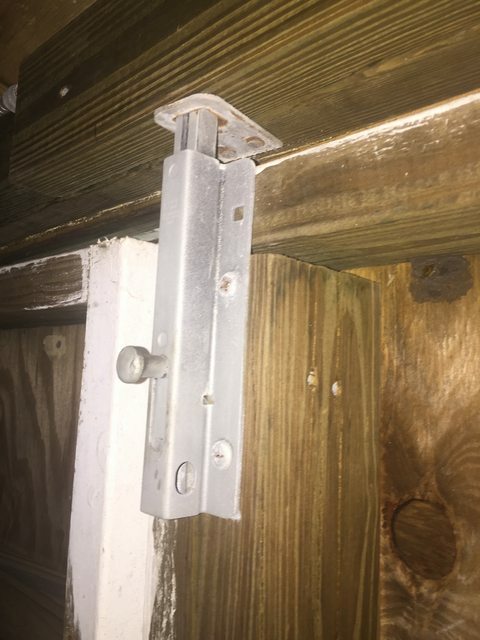 Except it is just a "surface" bolt because it can be used at the top or bottom of the door. 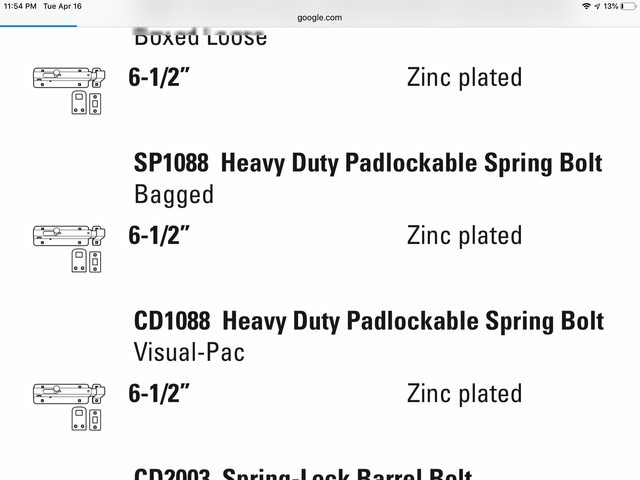 Home Depot sku 1001674763 is probably a good match. Went to Tractor Supply today. They had some HD barrel bolts that would work. Looked at the Home Depot item you pointed to. It was close. Found new old stock on eBay for about $10 delivered and ordered it.